Deloitte & Touche USA LLP (“Deloitte”) offers employees long-term disability insurance through the Plan. The Plan’s claims administrator, MetLife, has broad discretionary authority to make eligibility determinations. Under the Plan, an employee is entitled to long-term disability benefits if she is otherwise qualified and meets the Plan’s definition of “disabled.” Benefit payments for disabilities due to mental illness are limited to twenty-four months under the Plan. Gordon worked for Deloitte until October of 2000. Around that time, Gordon learned that she was HIV positive and claimed she could no longer work due to depression. MetLife determined that she was eligible for disability benefits under the Plan and began paying benefits effective March 3, 2001. MetLife paid benefits through December of 2002, but gave notice that it had terminated further payments in a January 2, 2003 letter. Gordon failed to appeal. Indeed, she took no action for more than four years. In April of 2009, MetLife received a letter from California’s Department of Insurance indicating that Gordon had filed a complaint on April 12, 2009. It asked MetLife to reevaluate the issues raised by Gordon in her complaint. MetLife informed Gordon that it would reopen her claim for further review and allowed Gordon to submit any additional information that she wanted MetLife to consider. After reviewing Gordon’s file and the additional information available, MetLife informed Gordon in writing that it was upholding its original decision to terminate her benefits based on the Plan’s 24-month limitation for disabilities resulting from mental illness. The letter advised Gordon of her appeal rights, saying that she could appeal the decision within 180 days and that any appeal would be concluded within 45 days unless otherwise notified in writing. Of significance at this point, the letter also stated that if the administrative appeal were to be denied, Gordon would have the right to bring a civil action under § 502(a) of ERISA. Gordon filed a complaint pursuant to § 502(a) of ERISA in the district court. The district court granted the Plan’s motion for summary judgment. It concluded that Gordon’s ERISA action was barred by the applicable four-year statute of limitation, as well as by the three-year contractual limitation period contained in the Plan itself. The trial court rejected Gordon’s arguments that the reopening of her file in 2009 reset the statute of limitation and that the Plan waived its limitation defense or was stopped from asserting it. The district court entered judgment in favor of the Plan. Gordon appealed. There is no federal statute of limitation applicable to lawsuits seeking benefits under ERISA. Federal courts look to the most analogous state statute in the state where the claim for benefits arose. Gordon’s case was in California and the most analogous statute is its four-year statute of limitation governing actions involving written contracts. The district court concluded that Gordon’s cause of action accrued on November 4, 2003 when her claim was denied, and thus that the four-year statute of limitation barred her suit. While the statute of limitation is borrowed from state law, accrual of an ERISA cause of action is determined by federal law. Under federal law, an ERISA cause of action accrues either at the time benefits are actually denied or when the insured has reason to know that the claim has been denied. Gordon’s claim was denied in the November 4, 2003. The letter explicitly stated that the last payment was made in a full and final settlement of her claim for disability benefits under the Plan. Gordon did not file the pending complaint until January 31, 2011. The Ninth Circuit found the denial was more than four years before the filing of her suit and the district court correctly concluded that Gordon’s ERISA action was barred by the four-year statute of limitation. Gordon argued that the Ninth Circuit should apply California law regarding acknowledgment of debts to conclude that MetLife’s reconsideration of her claim in 2009 revived the statute of limitation. However, just as the accrual of an ERISA cause of action is determined by federal law, whether it can accrue a second time by virtue of a revived statute of limitation should also be determined by federal law. Reviving a limitation period when an insurance company reconsiders a claim after the limitation period has run would discourage reconsideration by insurers even when reconsideration might be warranted. Therefore, giving Gordon what she requested would have serious consequences on other claims where reconsideration was requested since no insurer would reconsider if it had a statute of limitations defense. Gordon contended that the Ninth Circuit should hold that the Plan should be estopped from asserting a statute of limitation defense based on MetLife’s representation that she could bring an ERISA action. Here, nothing suggests that Gordon missed the statute of limitation deadline because she detrimentally relied on any representation by MetLife. It is true that MetLife represented in its December 8, 2009 letter that Gordon could bring an ERISA action, but by then the statute had already run, and so Gordon could not have relied on that statement to her detriment. She had the right to sue, in fact did sue, but she was not deceived into believing the court would agree with her position. Waiver is often described as the intentional relinquishment of a known right. Under California law, an insurance company cannot waive the statute of limitations after the limitations period has run. [Aceves v. Allstate Ins. Co., 68 F.3d 1160, 1163 (9th Cir.1995).] The California Supreme Court has observed that if an insurer extends the expiration date of a one-year suit provision for a claim that the insured filed and it began investigating after the limitations period ran, the extension cannot, as a matter of law, amount to a waiver. Even if waiver were possible after the limitation period has run, the availability of waiver in the insurance context is limited under California law. Typically, waiver analysis looks only at the acts of the waiving party to see if there was an intentional relinquishment of a known right, whereas estoppel looks at the actions of the other party as well to see if that party detrimentally relied on those acts. There was no evidence of detrimental reliance by Gordon on the December 8, 2009 letter’s representation. Nor was any consideration provided to MetLife for a waiver of its defense. At most the Department of Insurance only asked MetLife to administratively reopen the file. It did not ask—much less require, assuming the unlikely proposition that it had such power—that MetLife waive its limitation defense. The statute of limitation was never the basis for MetLife’s denial of Gordon’s claim. The basis was the Plan’s provision that limits benefits for disabilities stemming from mental health conditions, and that basis was clearly communicated to Gordon. 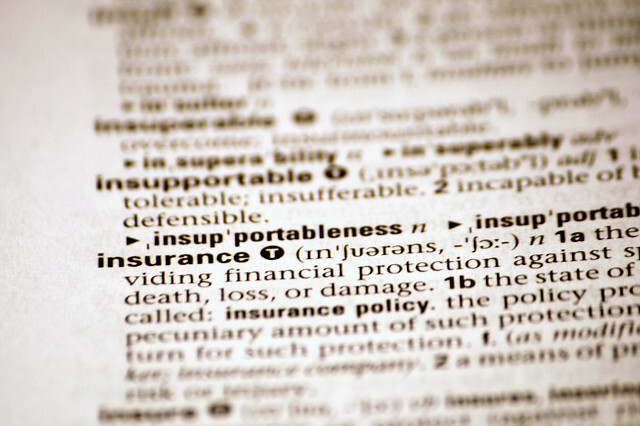 Insurance, whether governed by state law or by federal ERISA law, is nothing more than a contract. It cannot be changed simply to satisfy the desire of the insured for coverage that may not exist. In this case Ms. Gordon received everything to which she was entitled under the disability policy. After her claim was denied she let the private limitations of action provision in the policy and the four year California statute of limitations for breach of contract run, before making an attempt to force the policy to pay her more. The law does not honor sloth or those who sit on their rights. Statutes of limitations can be waived but such a waiver must be made knowingly, willfully and with knowledge of the effect of the action. There were no facts that supported waiver nor were there facts that allowed a finding of estoppel since Gordon did not delay her action based on anything said to her by the insurer. The insurer acted fairly and in good faith. Ms. Gordon recovered nothing because she sat on her rights until they were lost.